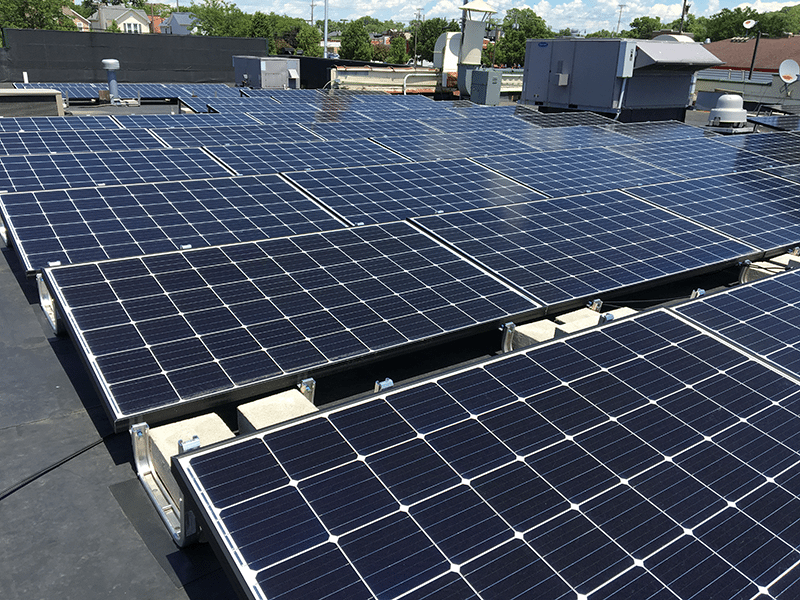 Fueled by the sales of our signature “Solar Sandwich,” we installed a 60 panel, 16.5 kW solar panel array on the roof of Flanagan’s Pub on May 23rd, 2017. Over it’s 25 year lifespan, this array will produce hundreds of megawatt-hours of electrical power and offset thousands of tons of CO2 emissions. Behold!